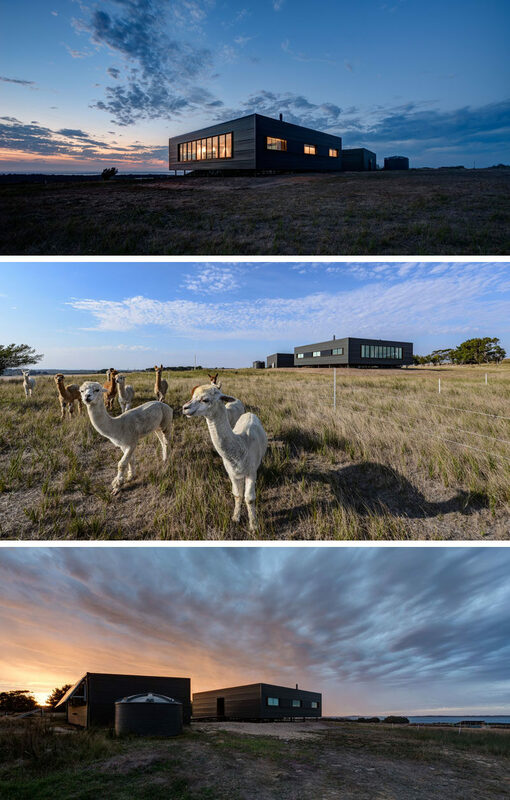 Architecture practice Lai Cheong Brown have designed a farm house on an island off the coast of Australia that’s wrapped around a central courtyard. Building the home, located on French Island, was challenging as the island is disconnected from mainland Australia and has no public utilities. 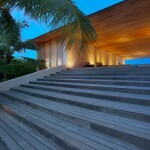 There are two water tanks and the home is self-sustaining in terms of power. 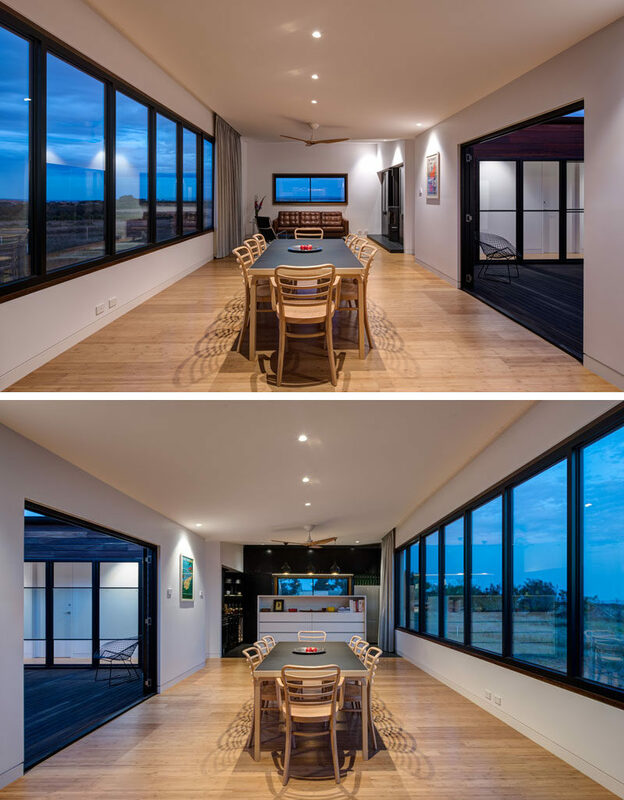 Designed for a family, the home has two bedrooms on either side of the courtyard, and a main living area with water views. The home also needed to accommodate aging grandparents while also allowing guests to stay over when occasionally marooned by bad weather. 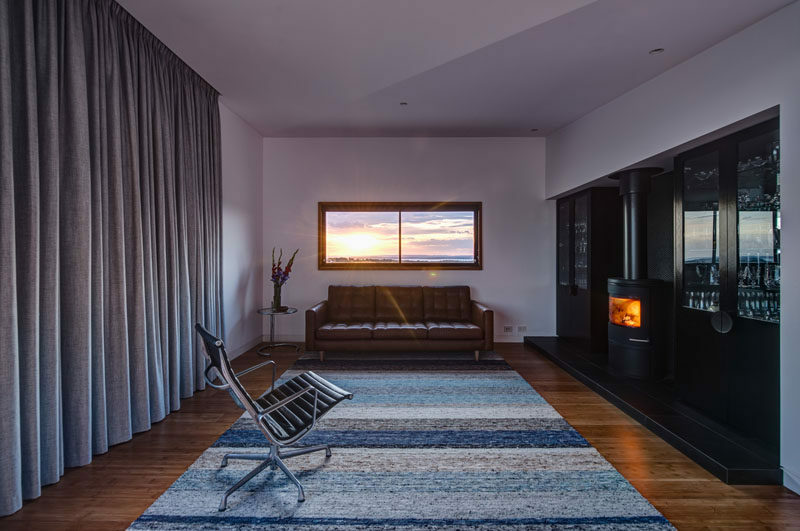 In the living room, the fireplace provides warmth to the home, and the window perfectly frames the view. Next to the living room is the dining area. 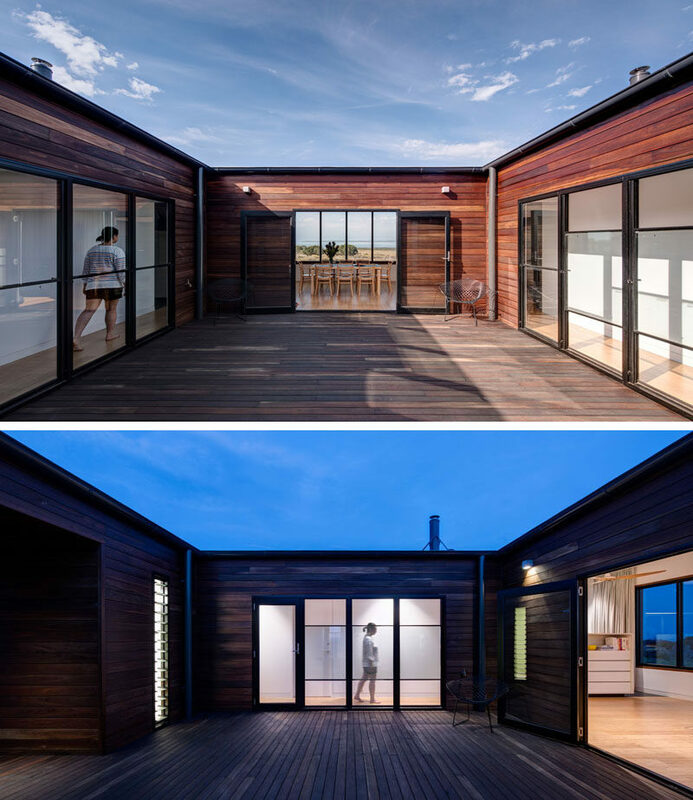 It has direct access to the courtyard, and a wall of windows provides plenty of daylight into the home. At the opposite end to the living room and next to the dining area is the kitchen. A tall island hides the countertop and provides storage. As the home is self-sufficient, there’s a wood burning stove to cook on. As there are four bedrooms, the home also has a number of bathrooms as the house is essentially in an almost closed ‘U’ shape. In this bathroom, blue is the chosen color. 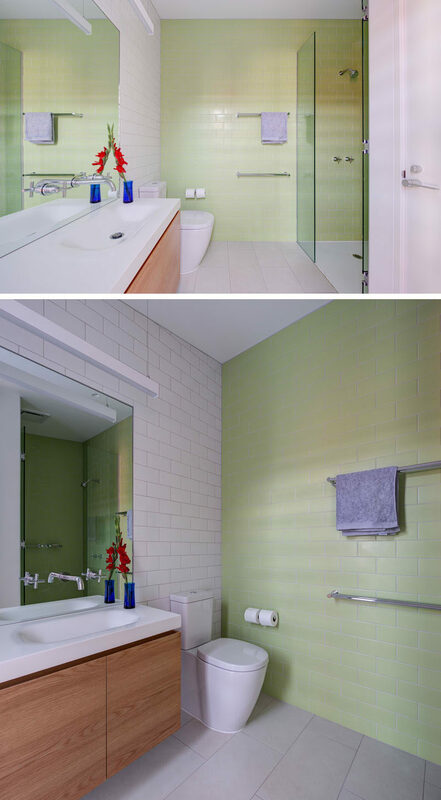 Here’s a look at another bathroom, this time pastel green tiles have been used. 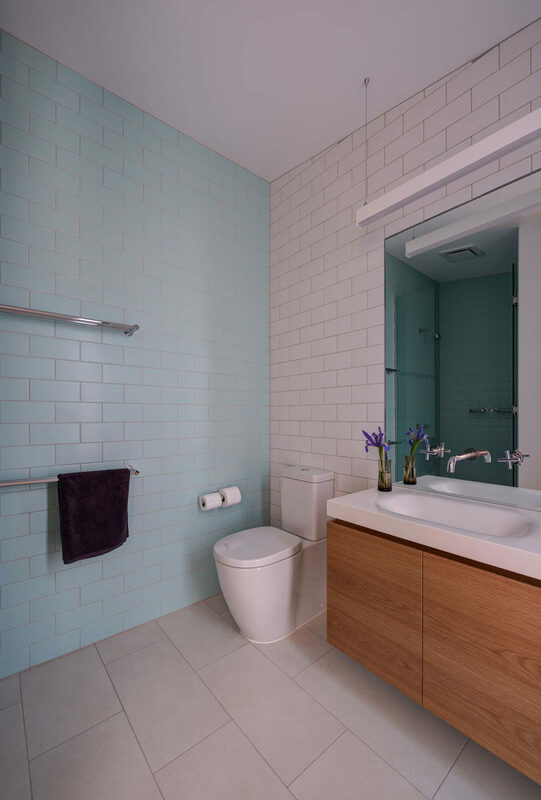 And in the last bathroom, light blue subway tiles have been paired with white tiles. 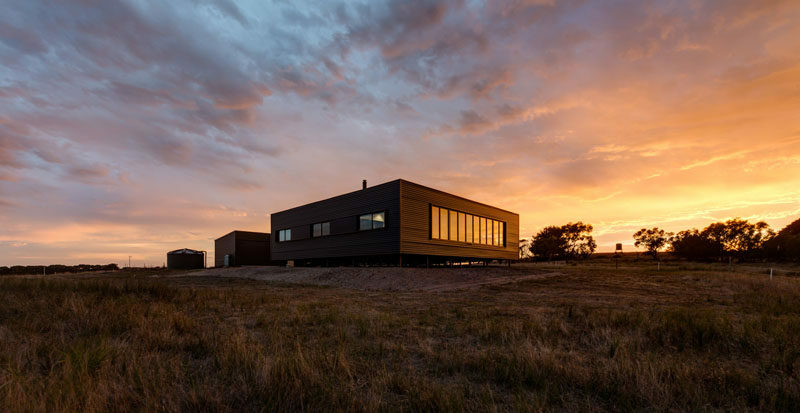 Watch the video below to see how the prefab house got to the island and a tour of the finished home.